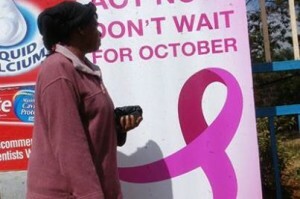 Breast Cancer Screening in Kenya: Why Wait For October? October is now known worldwide as the breast cancer month. The world has taken this month seriously to campaign and create awareness about breast cancer. Billions of dollars are put towards breast cancer in those 30 days in October, something that has helped tame breast cancer. However, it is heartbreaking to notice that most of us in Africa wait for October to get “free breast cancer screening” and “Free mammograms”. Looking at google keyword search terms that led visitors to our website can paint a clear picture of what most of us in Africa think about breast cancer month. Don’t wait for October to get screened for breast cancer. You can wait but breast cancer does not wait. You may wait hoping to get free breast cancer screening or free mammogram and not get it. Will you wait for another year’s October to take a chance of getting free breast cancer screening? Stay ahead of breast cancer and don’t wait for October to get breast cancer screening. October is breast cancer awareness month, not free breast cancer screening month. Be proactive. The world cannot be what it is without you! Our societies would collapse without women. Our kids would not have a family without our women. Let’s join hands and fight breast cancer together, early enough to maximize survival.